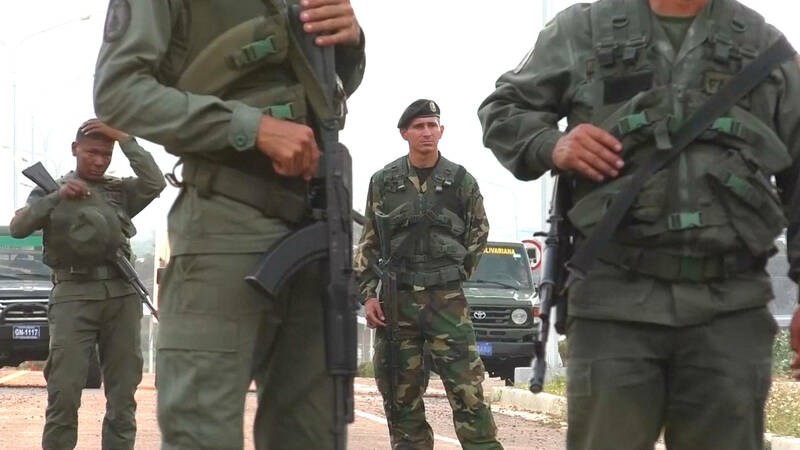 "Venezuelan authorities have uncovered 19 assault weapons, 118 ammunition cartridges and 90 military-grade radio antennas"
Report: U.S.-Based Plane Caught Bringing Arms into Venezuela Democracy Now! "US based plane" is not government. This sounds like drug cartel. If the US military were arming somebody they would send hundreds or thousands of rifles. It's criminal gangs who buy small quantities of firearms like that. CIA didn't bring 19 rifles. More like 19,000 along with surface to air missile launchers. This just doesn't sound like CIA, this sounds like drug cartel buying a couple of guns. Lol that’s less than 7 bullets per gun. What are these, California magazine capacity ban complaint “assault weapons?” I’ll bet most of these were unloaded and a couple had full mags. 118 ammunition cartridges will fit in your pocket. This is not a government operation. What is a military-grade radio antenna? Executive serving the Operations and IT industry for almost two decades out of the Bay Area. My passion is growing people into their fullest potential. God I hope they meant “magazines” and not “rounds”.